The team has left the Maniema Proveince a few days ago, but I still need to talk about the farmers that live live along the RN 31 after we made it there! Luckily Roberto (Longo, Farmer Organisations Technical Advisor) joined the team to better target questions and respond to the queries of our agricultural entrepreneurs. But I forgot to tell you, how we get to the RN 31…. No commercial planes or crazy roads, this time it’s MONUSCO (United Nations Organization Stabilization Mission in the Democratic Republic of the Congo) airplanes. MONUSCO provides safe flights to major cities in DRC with a regular flight schedule. Check in 6 am at MONUSCO Air Terminal. Departure time: when the passengers have all checked in and the plane is ready to go. We actually took off at 7:45 am. First stop: Kisangani, 1h45 minutes flying time. The flight went well. 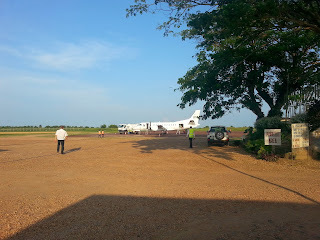 Connecting flight from Kinsangani to Kindu: when the plane arrives from Entebbe or around 4 pm, to arrive in Kindu around 5:30 pm. 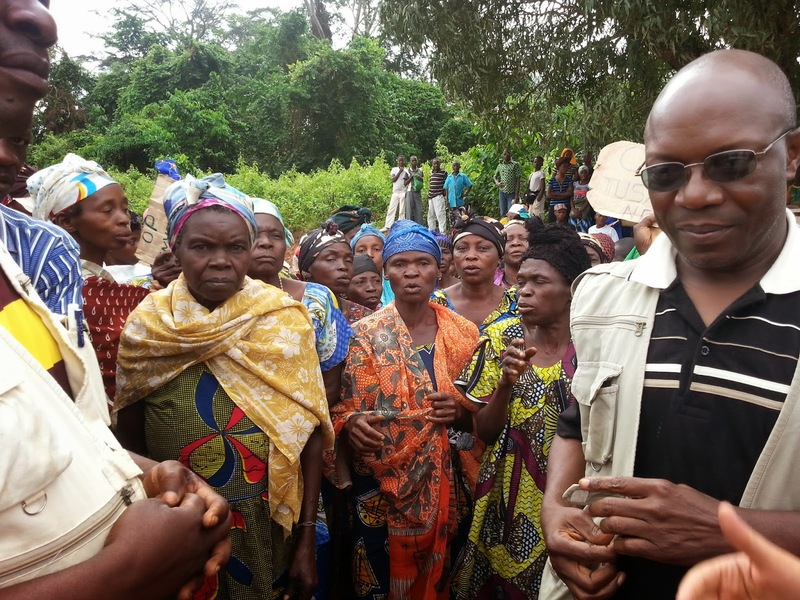 I recall that an IFAD mission was in the Maniema Province, in the Eastern part of the Democratic Republic of the Congo for the Interphase Review of PIRAM (Integrated Rural Rehabilitation Programme in the Maniema Province). Aside from working on roads (see my last bog article) PIRAM’s main component is to rehabilitate agriculture in the Province in a post conflict situation. 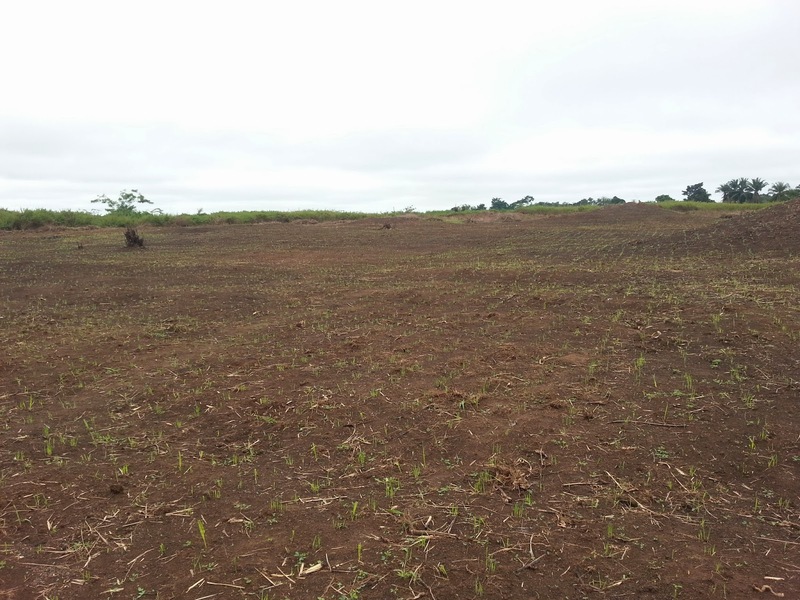 Until now, the project is already supporting over 500 farmers organisations throughout the Maniema Province . Back to our farmers and their organisations in the Kasongo and Pangi production areas. The IFAD team met a women’s group, in Kituta, who shares a community field where they tested the properties of the rice seed received from PIRAM. The women’s group received 100kg of "NERICA 4" short cycle rice, commonly known as “biscuit” or cookie for its sweet taste. The women decided to test this new variety which has a short cycle of 3 months (instead of 4 months like traditional varieties of rice) allowing them to cultivate the second rainy season (season B) typical to the Southern hemisphere. 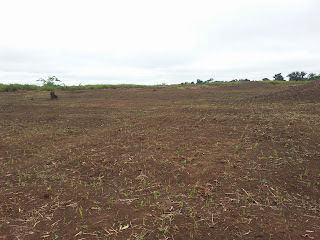 The first rainy season in the Maniema Province has a planting season mid-September/early October with a harvest in end of December, January and February. The Second season or Season B plants in end of February/March to harvest in May/June. Since traditionally the B season is not cultivated, the hungry seasons runs from June to mid-December, of course with PIRAM this trend is changing quickly and rice prices have become more stable, even though they are still cheaper right after the A season harvest in December/January. The tests have been quite positive, whereby yields have at least doubled compared to their traditional varieties and the women will be cultivating the B season next year. After discussing how the women are organised, the methods they used and the like, the team concluded have concluded that what keeps this association of 23 women’s groups together, is the charisma and leadership of their President as well as the bonding factor brought in by having common fields where women have more time to socialise together even if they are working. The IFAD team asked the women what it is they would like as support for their group. Incredibly enough, what marked the women’s group from many others is that their request was Knowledge! The women asked for training to better manage their resources and to be able to acquire credit to buy a rice processing unit. This is becoming a pressing need because production is increasing and surpluses have a much higher value if already dehusked. This was really an encouraging group! Thanks to PIRAM, farmers have been proud to say that they have more disposable income, allowing them to buy things such as small tools for their farms, cellular phones, new cloths (pagne) to sew clothing, uniforms for children for school, small solar panels allowing them to have basic lighting and to charge their phones and in some cases, televisions and satellite antennas for international channels. Encouraging results for a programme that still has 6 years to go and that will be targeting 84 000 farmers by the end of 2019.